These Hong Kong street food themed stickers were commissioned by Not A Basement Studio, to be used for Fuzel Collage, a photo-accessorising app. The style was to be cute and witty. 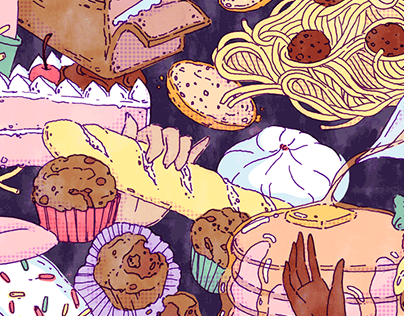 The above graphic was used as a promotional banner within the app. Pencil sketches submitted to the client for approval. Final sticker designs executed as easily resizable vector images. 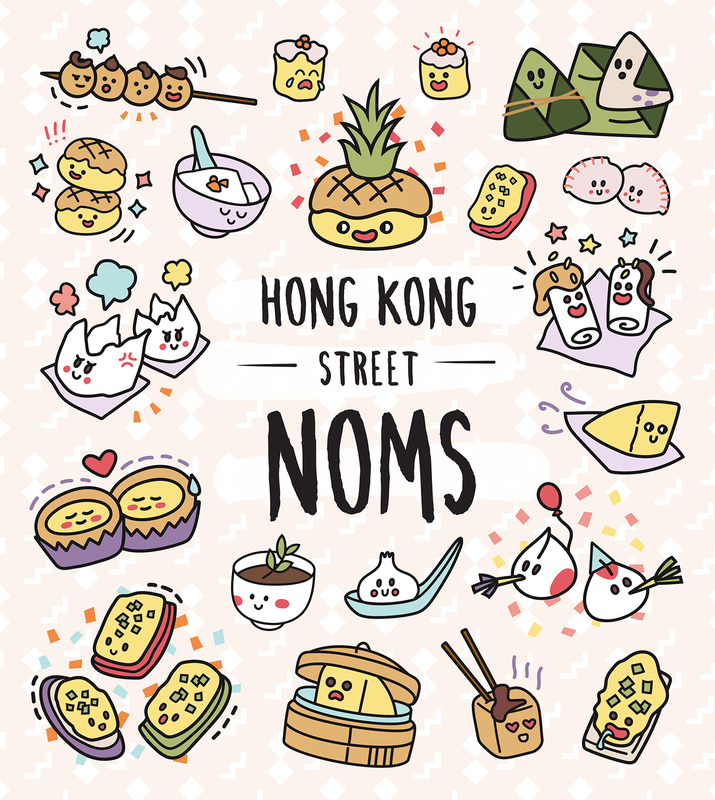 Adorable Hong Kong street food themed stickers.